In this post, we continue our series on thermal management solutions, how they work, and their advantages and disadvantages. This month, we’re focusing on the thermal management solution used in heat pipe turnkey manufacturing: fluid phase change. 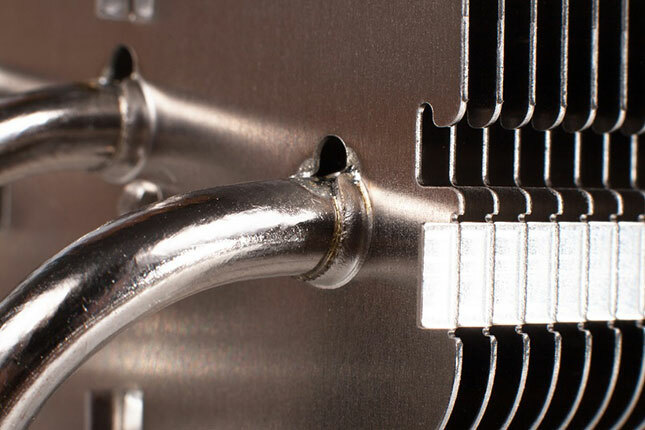 Heat pipes are one of the most common choices for thermal management. Consisting of a container, a working fluid, and a wick, heat pipes transfer heat through an evaporator and a condenser in a closed-loop system. As a part generates heat, the liquid inside the nearby heat pipe boils and evaporates. The hot water vapor moves toward the cooler section of the heat pipe and away from the heat-generating part. As the heated water vapor moves toward cooler air, it begins to condense. The wick structure then uses capillary motion to transfer the liquid back to the evaporator. Getec Industrial is a leading thermal management solutions company that offers heat pipe heatsink aluminum services. For more information about our custom extruded aluminum manufacturers, contact us online or call us at 888-000-8499.